Nurses With Heart’s Chief Nursing Officer, Elais Ponton has worked as a Registered Nurse (RN) in high acuity hospital settings, community hospice and home health settings focused on mental health conditions. These diverse experiences gave her first-hand exposure to what conventional care looks like and eventually led her to join forces with Carolyn Moore to create a more positive and nurturing alternative in Nurses With Heart. A member of various community outreach programs in Santa Fe, Ms. Ponton has contributed to research focused on adult and infant hearing issues. 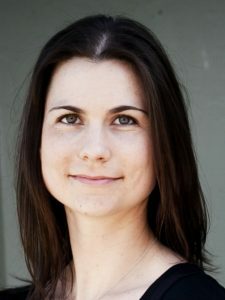 She holds a BA in Psychology and Anthropology from the University of British Columbia and a BS in Nursing from the British Columbia Institute of Technology, where she focused on home health care and wound care. Nurses With Heart is a “one-stop” home health agency providing both personal and nursing services in the comfort, privacy and safety of your home. This means that we offer highly flexible assistance ranging from nurturing companionship (e.g. conversation, games, outings) to light housekeeping (e.g. errands, laundry, changing linens) to personal care (e.g. bathing, dressing, feeding) to skilled nursing (e.g. wound care, medication administration, catheter care). Our private pay model provides flexibility in scheduling how much care you need, when you need it.